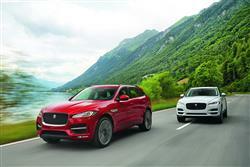 The F-PACE takes Jaguar in a bold and different direction and will be crucial to the brand's future if it's to expand its sales and take on key rivals. It brings a well-judged compromise of class, performance and capability to the luxury mid-sized SUV segment that provides a tempting alternative to the established German players in this sector. In short, this car was well worth the wait. Let's try it in potent 3.0-litre Diesel 'F-PACE S' guise. If there's one type of car that epitomises this period in motoring history, it's the SUV. 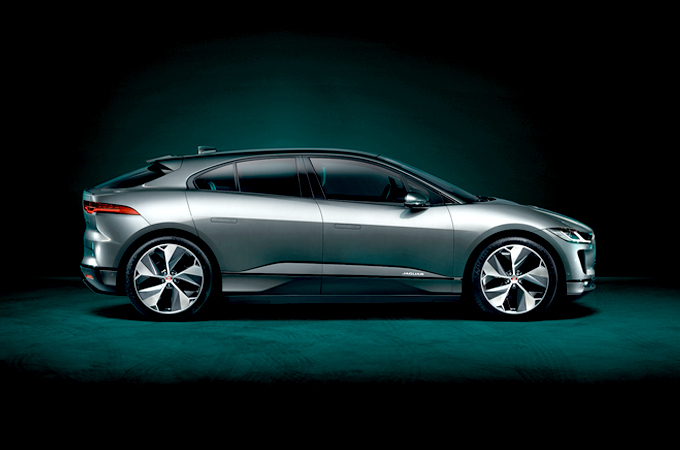 So many buyers desire them and Jaguar wants a slice of this action. As a result, the British company has finally brought us its first ever model of this kind, complete with high-riding driving position, four-wheel drive and even some decent off-road ability. Welcome, to the F-PACE. 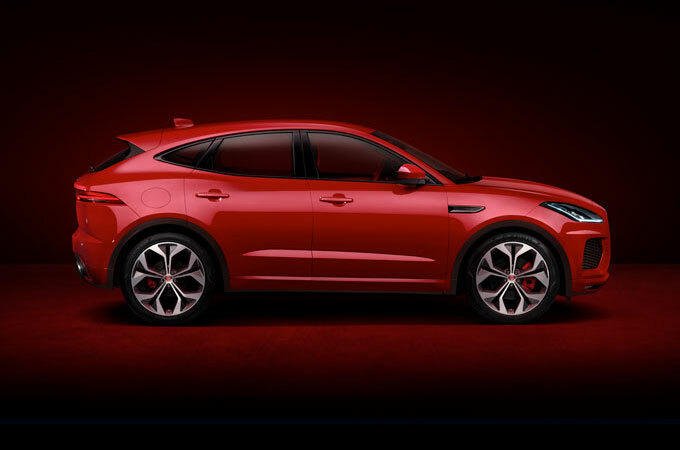 With this car, there should be the potential for the kind of properly driver-orientated handling dynamics that a Jaguar SUV really ought to have. And will need if it's to realise marketing ambitions that in price and performance see tough and well established competitors being targeted. 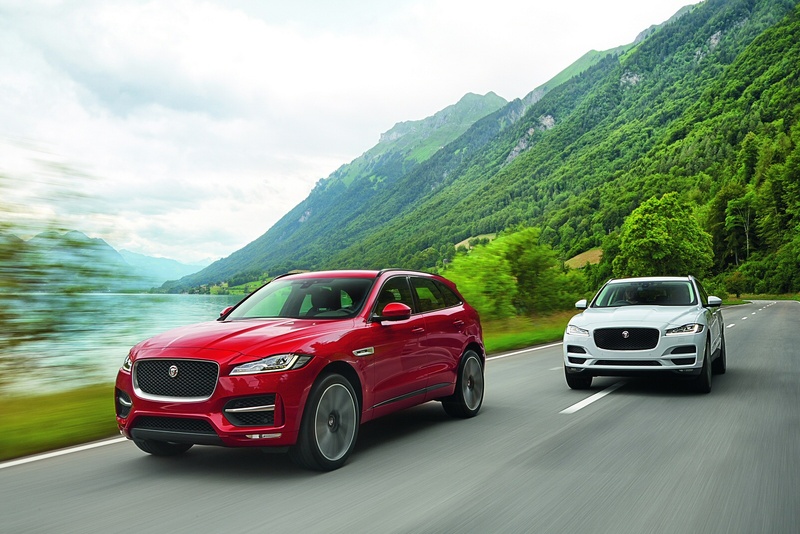 Quicker F-PACE variants like the 3.0-litre Diesel S model we're trying here must match up against the likes of benchmark performance models in this segment like Porsche's Macan. 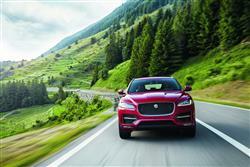 That'll require Jaguar's first SUV to be more than merely very good: it has to be brilliant. Is it? Let's find out. 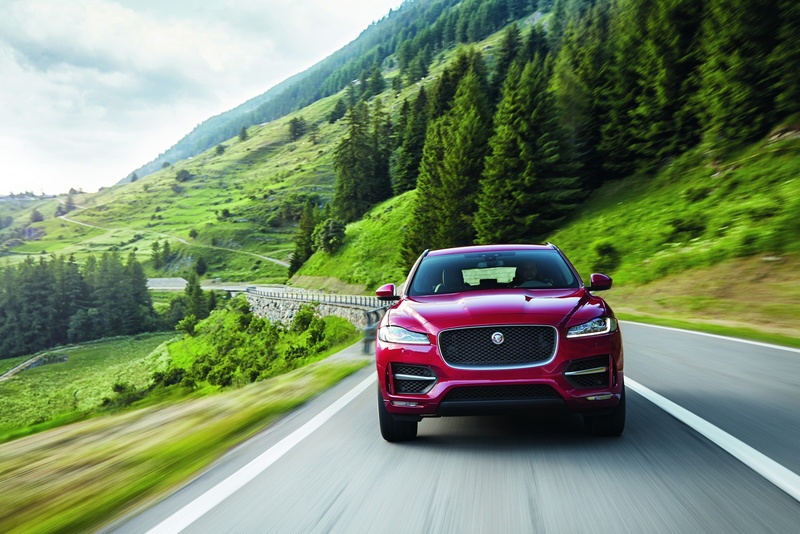 Jaguar wants this F-PACE to be a class leader when it comes to driving dynamics in this segment, an objective helped enormously by its lightweight aluminium architecture. Further aids in this regard include torque vectoring to maximise cornering traction and a defiantly rear-biased AWD system that never diverts more than 50% of its power up-front, a process that happens in milliseconds as soon as the first signs of wheel slip are detected. The 3.0-litre Diesel S variant we're testing here uses a 300PS 3.0-litre V6 unit that puts out 700Nm of torque, powers you to 62mph in 6.2s and tops out at 150mph. Impressive figures, but possibly rather more than you actually need - in which case, the lesser four cylinder 2.0-litre 180PS Ingenium diesel variants beckon. This 3.0-litre derivative comes only with AWD and an 8-speed auto gearbox. 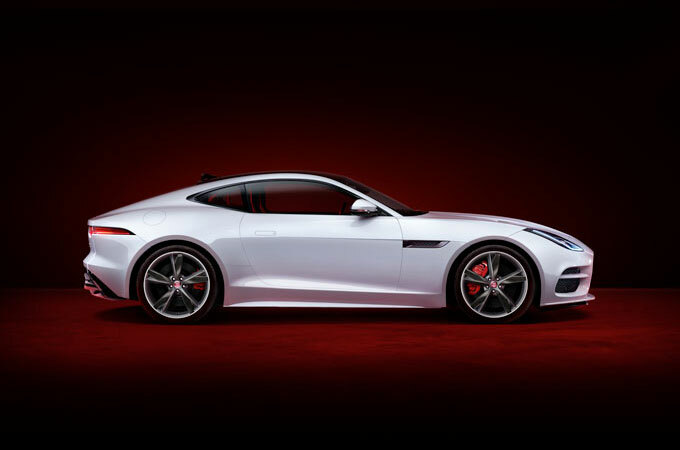 Change ratios for the auto transmission are one of the things that can be tweaked via the settings of the 'Jaguar Drive Control' system, a set-up that also adjusts steering feel and throttle response to suit the way you want to drive. 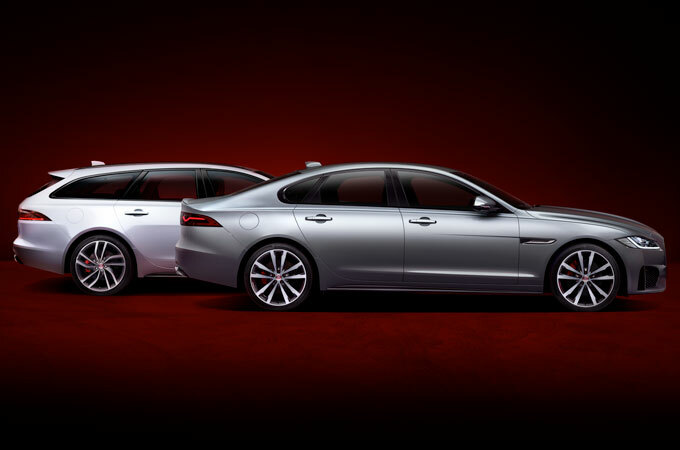 If you want to go further and make the 'Jaguar Drive Control' settings more fundamental in altering the driving character of the car, then you'll need to spend extra on the optional 'Adaptive Dynamics' adjustable damping system your dealer will want to tell you about. 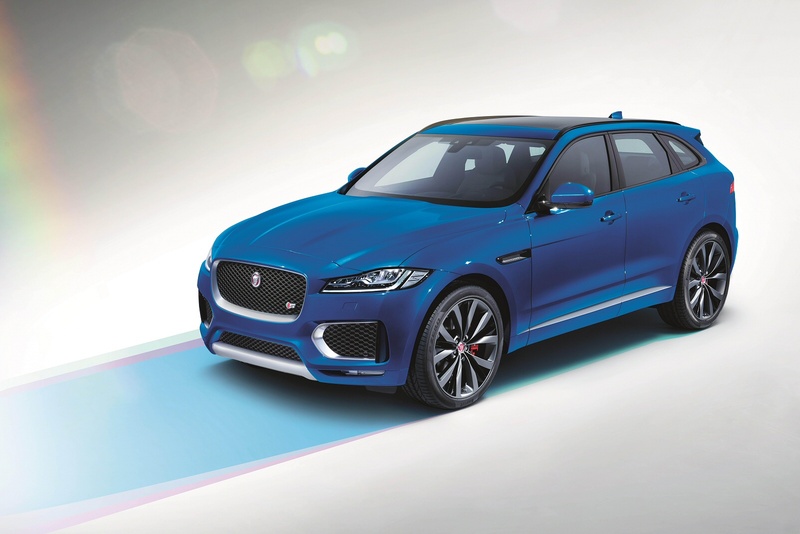 It says much that Jaguar markets this F-PACE as a 'sportscar', albeit a very practical one. The stylish shape is pretty much exactly what we saw from the Coventry company's C-X17 prototype, a car unveiled back in 2013 at the Frankfurt Motorshow. 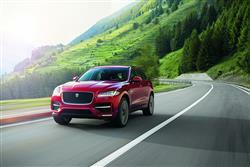 In production form, the lines are just as eye-catching, Chief Stylist Ian Callum refusing to be constrained by the SUV sector's usual aesthetic design cues, instead delivering a much more dynamic silhouette, with a roofline lower and closer to the road than anything else in the segment. 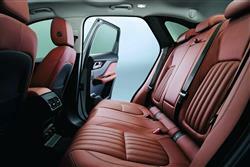 Take a seat inside and you experience the so-called 'Sports Command' driving position. This delivers the kind of high-set authoritative seating placement that SUV drivers like so much, without perching you so far up that you lose the feel of being an integral part of the whole experience. 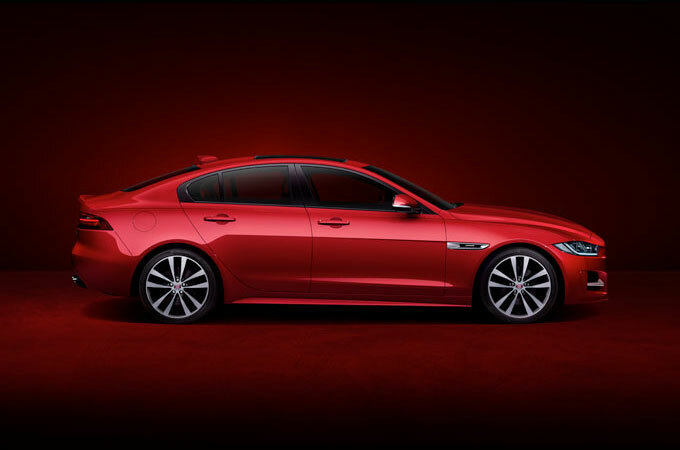 The whole cabin ambience is designed to make anyone coming to this car fresh from one of Jaguar's saloons feel instantly at home, with the dials, the switchgear and the rising circular gear selector you get on automatic models all familiar fare. As for practicality, well the boot is accessed via a powered tailgate which rises to reveal one of the largest luggage compartments in the mid-sized SUV segment, offering a 650-litre capacity that's 100-litres bigger than you'd get in, say, a rival Mercedes GLC. If you're fortunate enough to be able to consider a top V6-engine 'F-PACE S' variant like the car we tried, you'll need a budget of just over £50,000. As for rivals at this level, well in addition to the priciest six cylinder sporting versions of the Mercedes GLC Coupe and the BMW X4 (which cost only a fraction less), you'll probably also be looking at Porsche's Macan. The Macan certainly has great dynamic appeal and a directly comparable variant costs around £7,000 less. Against that though, the Porsche has less power, a smaller boot and actually probably wouldn't cost you a lot less to buy, once you'd brought its specification up the standard of this Jag. 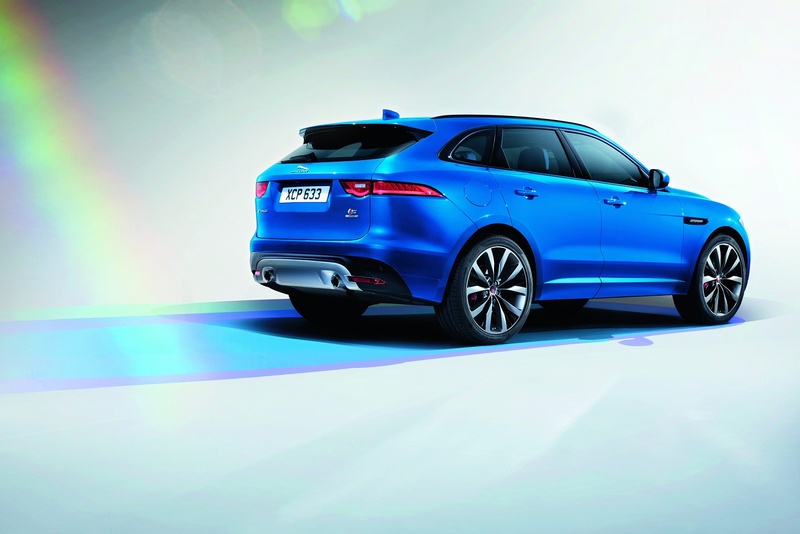 Equipment for 'S'-level F-PACE buyers includes huge 20-inch alloy wheels with large 350 millimetre front disc brakes, a bespoke 'S Body kit' and an 'Adaptive Dynamics' system that also allows you to tweak suspension settings via the various 'Jaguar Drive Control' modes. 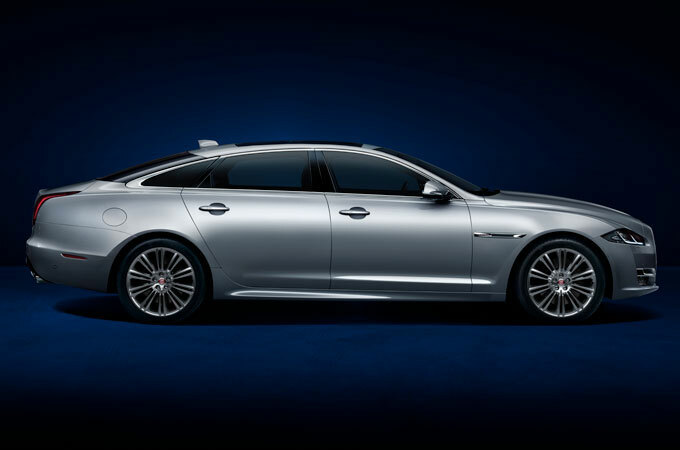 There's also 'Windsor' leather upholstery with 10-way electric seat adjustment at the front, plus a rear view camera and a 380-watt 11-speaker Meridian sound system, as well as all the usual executive segment niceties, including satellite navigation built into the InControl infotainment system. Inevitably, if your F-PACE comes fitted with the more potent 3.0-litre V6 diesel we tried, rather than the less 2.0-litre diesel unt, it won't be quite as cheap to run. Nevertheless, 47.1mpg on the combined cycle and 159g/km is a pretty good showing, almost identical to that of a comparable Porsche Macan diesel. A three year unlimited mileage warranty is standard with the F-PACE, although this can be extended with a number a couple of different plans that include a cover for an MOT test failure up to £750, as well as the normal cover for most electrical and mechanical systems. Service intervals are every two years/21,000 miles. If you’re looking for a new Jaguar F-Pace 3.0d V6 300 Sport 5dr Auto AWD Diesel Estate for sale, you’ve come to the right place. 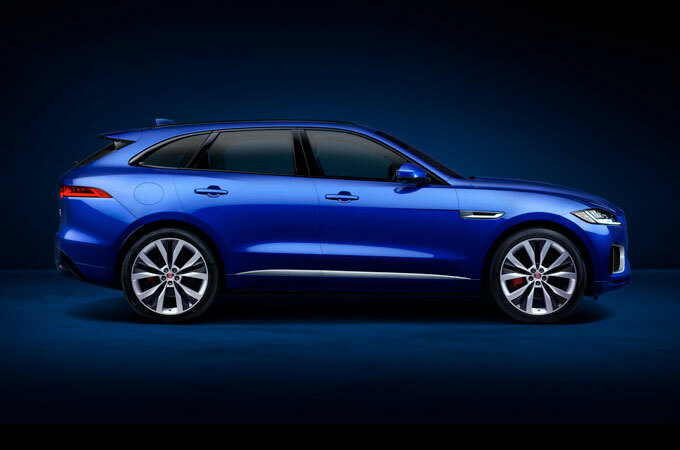 At Bristol Street Motors we don’t just have the best Jaguar F-Pace 3.0d V6 300 Sport 5dr Auto AWD Diesel Estate deals, we also offer friendly advice and help with all your enquiries to ensure your buying experience is a happy experience.